Every MacBook owner must own a docking port. Since Apple has eliminated any legacy ports from their MacBook Pros, if you want to connect a device to your Macbook, you must use a proper dongle. Multiple displays are a hassle as well. Hence, the only way you can solve your problem is by buying a docking port. 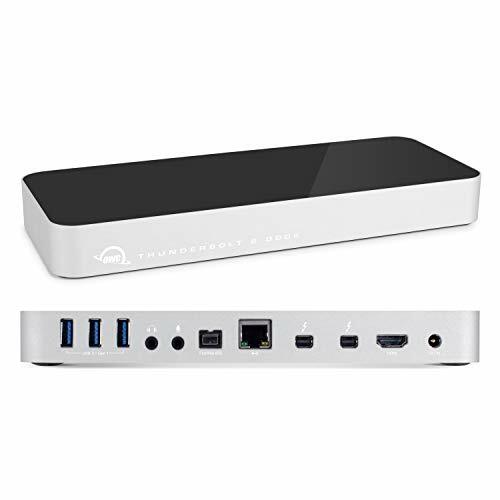 The OWC Thunderbolt 2 dock port that has 12 hubs for optimal connectivity that consists of USB 3.0, FireWire 800, Thunderbolt 2, HDMI, Audio in and out, Gigabit Ethernet, and 1M thunderbolt cable. It can also support Ultra-HD 4k and multiple displays. 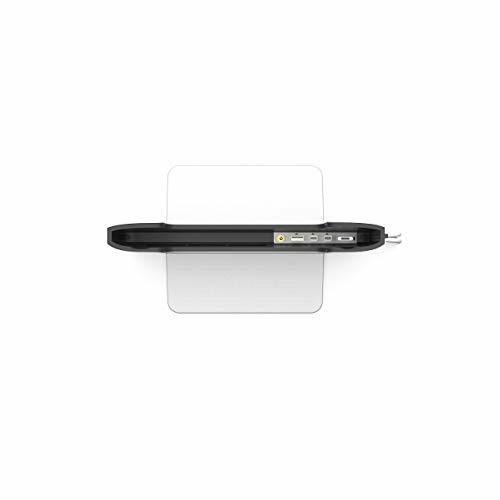 Its excellent performance and high connectivity eliminate the hassle of connecting your device to your Macbook. This docking port has five USB 3.1 Gen 1 ports and two high-powered charging ports. 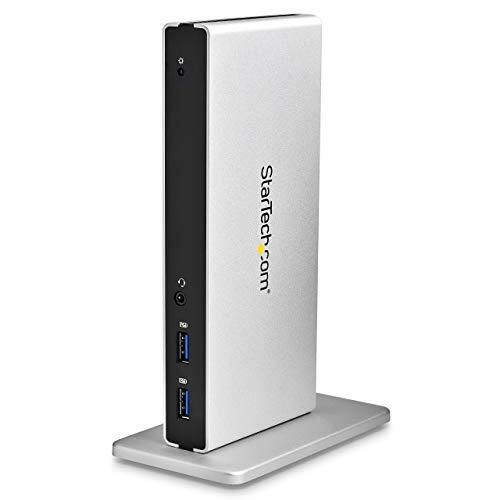 Its Dual Thunderbolt 2 ports can be used for daisy-chain support. Note that dual monitor support will require at least one Thunderbolt display. Buyers can benefit from the OWC 2-year limited warranty upon purchase of the product. We also have the LandingZone secure docking section. 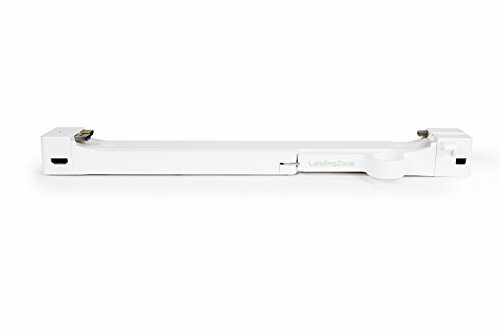 This docking port is designed exclusively for MacBook Pro Model A1398 that was launched way back in 2012. Thanks to its integrated security slot, your MacBook will stay protected. You can still use your computer even if it’s locked in the docking port. There’s no need for an Apple adapter cable as it provides a Gigabit Ethernet port. Note that it is not compatible with the new MacBook Pro regardless if there are Type-C ports and a touch bar. Worry not because there are few ports that you can use on the computer even if you attach the docking port. It features an SDXC card slot, USB 3.0 port, Thunderbolt, and headphone port. The Ethernet drivers support both macOS and Windows. The StarTech triple monitor docking station can be used in both Windows and Mac. It features an HDMI port with two display ports. This docking station can support 4k Ultra-HD resolution and up to 3840x260p on display. If you need a charger for your mobile device, you can use its USB fast-charging port. Now you can create a powerful workstation with its USB 3.0 port replicator that has 5x USB 3.0 ports and a GbE port. Working at home has never been more comfortable with the help of this docking port. The StarTech offers a 3-year warranty to their customers upon purchase of the product and a free lifetime technical support. The docking port is easy to set up and use. In just a few minutes, you can have it working on your laptop to its full extent and multitask with its triple displays. The Henge Docks vertical docking station is sleek and sturdy. Its sturdy metal finish looks great with any laptop. The docking station is thunderbolt ready and compatible with Apple displays and cable. This docking port will allow you to enjoy the most of your Macbook’s retina display. Minimal setup is required upon receiving the product. It has a pre-installed mini display port, USB 3.0, and TRRS audio extension cables. It will allow you to connect instantly and can support dual monitor as well. The docking port has an integrated cable organizer that prevents cable mess in your working place. You can enjoy a free Amazon tech support upon purchasing the product. 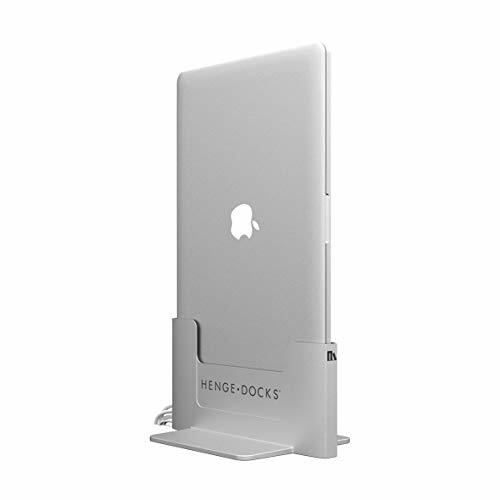 Another product from Henge docks, we have the vertical docking station for MacBook Pros. Similar to the previous product, it has a clean and sleek look in metal finish. This docking station will allow you to work at home or set up your home theatre with no hassle at all. Also, the dock is thunderbolt ready and is compatible with Apple displays and cables for your Macbook retina display. Setting up the dock port is a breeze. The pre-installed mini display port added TRRS audio extension cables, and USB 3.0 makes handling dual monitors quick and easy. Its built-in cable organizer will help to keep the wires in place and keeping your workplace clean. Working at home is convenient, especially if you are catching up some tight deadlines. The StarTech thunderbolt docking station will allow you to turn your house into your personal working space in just a single cable. This docking station is compatible with MacBook Pro and MacBook Air. 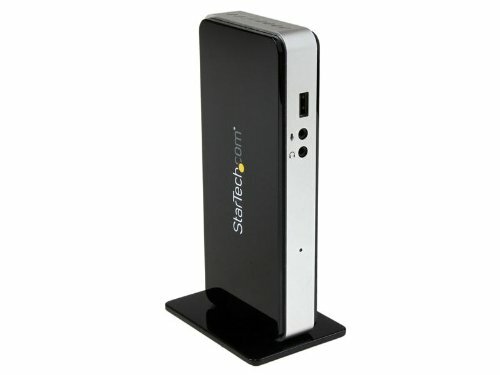 This docking station can support dual monitor when using TB display and HDMI. Moreover, it also offers more ports for BYOD workspaces and creative designers. There are three USB 3.0 ports and can also support daisy-chain if you want to store data up to 10Gbps. If you’re going to use a single display, ensure that you connect it to none HDMI to do so. The Thunderbolt interface is also compatible with mini display port. For connecting dual screens, you need to join one HDMI monitor and one Thunderbolt monitor. The StarTech dual monitor docking station for MacBook Pro is everything you need to set up your office at home. The 3.0 docking station allows you to connect to Windows and Mac easily. The package includes adapters for DVI to HDMI and DVI to VGA to ensure that your display will link to your dock. It also has two USB battery charging specifications 1.2 ports. Now you can charge your mobile devices in your docking port. 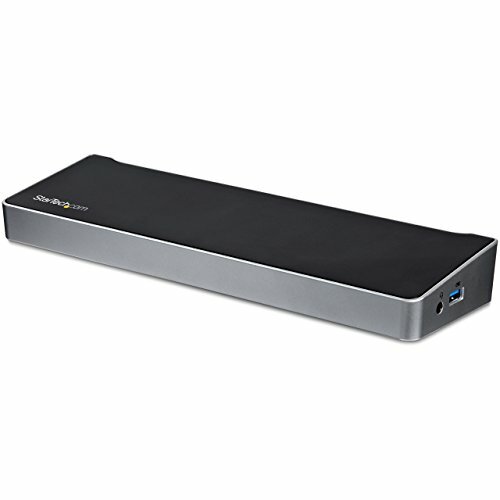 Its dual DVI docking station also has 5x USB 3.0 ports for a great working space. The GbE port will transform your MacBook to a dual-video workstation. Also, since you can dock it vertically, you can free some space in your desk and avoid clutter. 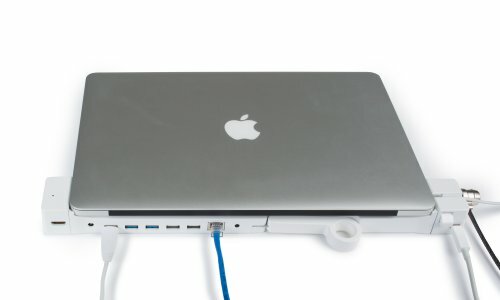 If you are on a budget, you might want to check the LandingZone dock station for MacBook Pro. It is designed for 13-inch MacBook Pro with retina display. Its single-step and dual screen, you can work freely at home even with just your laptop. The display port supports Apple Thunderbolt display and even non-Thunderbolt monitors. The HDMI is also compatible with external displays, monitors, and TVs. You can still access the ports in your Macbook even if it’s docked. The Thunderbolt port, the headphone port, and the SDXC card slot are all accessible. This docking station also features an integrated Kensington security slot. In that way, you can secure your MacBook and Landing Zone. 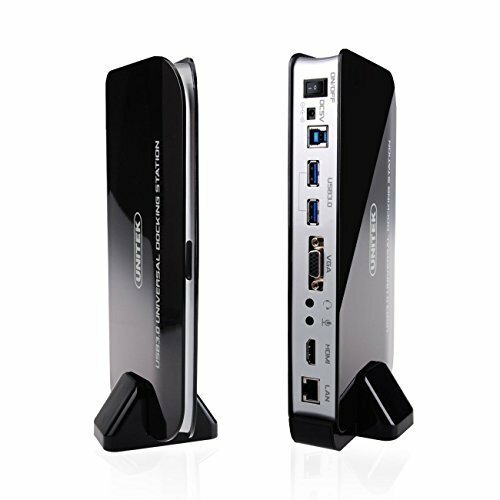 The Unitek dual-display USB 3.0 universal docking station provides SuperSpeed USB 3.0 link from PC to dual-video. Now you can connect your devices with a single USB 3.0 cable. Make sure that you follow the manufacturer’s instruction in installing the driver before you use the docking station. It can also support the VGA and HDMI displays, allowing you to expand your desktop to three monitors. This docking station is ideal for multi-tasking or working home-based. It can support up to 1080P resolution with 5.1-channel sound. At an affordable price, it provides an impressive quality of image, audio, and video. For the video, we have the mirrored desktop mode and primary mode. It also has an integrated 1000Mbps Gigabit Ethernet port that can expand your existing storage.